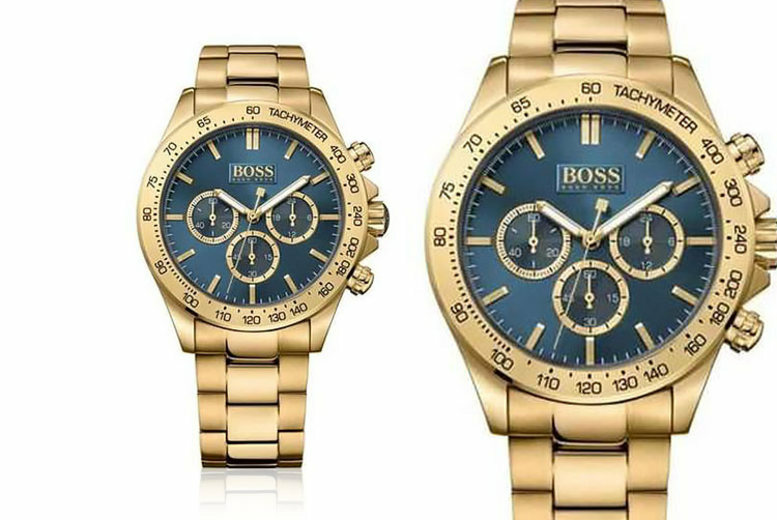 Get a Hugo Boss Ikon chronograph watch. In a stylish gold and blue colour. See full details for complete product specifications.